Slate Grey offers professional design and installation of decking areas for gardens in Tunbridge Wells and the surrounding areas. Garden decking is a great way to enhance your garden and provide an additional seating and entertaining area for family and friends. 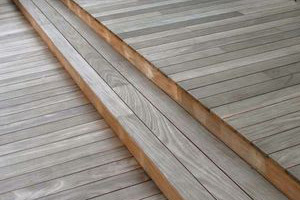 Wooden decking offers a warm and organic feel and creates a good contrast to harder stone surfaces. Decking can also be used to great effect on difficult sloping sites and provides a cost effective solution to terracing. All our decks are built to last and to the highest standards using quality fixings. We are committed to using sustainably sourced (FSC) timber for all of our projects and have an array of samples available to demonstrate the wealth of different timber finishes that are available today. Once installed, all hardwood decks are finished with a high quality oil to enrich the colour, protect from UV damage and create a safe, anti-slip finish. We keep up-to-date with the latest planning regulations and if required can carry out any necessary planning applications for our clients. For larger or more complex decking areas Slate Grey also offers a complimentary deck design service. As well as decking construction, we can also design and build timber pergolas, arches, arbours & other wooden garden structures to enhance your garden. To help get the most from your deck, we can also install subtle low voltage lighting systems, which create a warm mood to the finished deck during the evening and helps prolong the time you can enjoy sitting outside. Our lighting systems can be controlled by conventional wall switch, by remote, or even your smartphone. Read more about our Garden Lighting Service. Welcome to the Slate Grey Design, Build & Maintain news page. Here you will find updates on garden design and landscaping projects, lighting and decking, plants and planting schemes, as well as any important events in the Slate Grey diary. 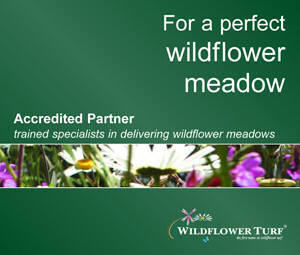 We are an award-winning garden design and landscaping business creating high quality bespoke gardens in and around Tunbridge Wells and throughout Kent, Sussex and Surrey. "We used Slate Grey on a large garden design project to complement our Grade II Listed house. This involved constructing three patio areas, designing the planting and creating a lighting scheme. Richard has been delightful to work with ensured every aspect of the project was perfect." "We have been so impressed with how the work has been carried out and it looks brilliant, even better than we imagined. Please pass on our thanks to your guys, they are the nicest, tidiest and most considerate workers we’ve ever come across." "I am very happy with the work, you have done an excellent and very professional job. I am looking forward to the hedging coming to life in the Spring." "We have worked with Richard at Slate Grey on a regular basis for over 10 years while he has updated and restored many parts of our large country garden. Richard is very professional and his work is always to the highest standards." "Slate Grey designed a contemporary, useable, family friendly garden. They understood our needs and had the vision to create what we required. Every aspect was considered and professionalism apparent throughout." "In just 12 weeks in winter, our 'plot' was transformed from a drab space to a beautiful garden with curves, colour and lighting. Slate Grey were punctual, reliable, and worked with dedication and craftsmanship. We cannot rate them highly enough. They have done a fantastic job and we are amazed at the transformation." Based on the border between Kent and East Sussex, we cover a wide radius within the South East – from Sevenoaks to Uckfield, Cranbrook to East Grinstead.